So congratulations: you have started your first blog or website, in the hopes of gaining attention, earning revenue, promoting a cause or otherwise being a valuable contributor on a particular subject. Building a website is just the beginning, though: gaining exposure via search engines, social media and word of mouth is the main ground game you will be facing in the future. No doubt, you have already probably heard of ‘SEO’ (search engine optimization), and are wondering how you can begin to use it to promote and augment your website or blog’s exposure. Below, we will outline some of the basic tenets of SEO for beginners in order to help you begin the task of promoting and marketing your cause. Tags come in different forms and are read by search engines, which will then determine how best to classify the information it gathers from each page. When pinging for SEO, you will be using title tags and meta tags to convey information to search engines. Title tags are used to display information about your site in search results – any text you see in search results under the URLs displayed are title tags. Meta tags do not directly affect search rankings, but they are used as a way to convey to search engines what character set the page is using and also to provide extra information to readers when doing searches. Creating a sitemap for your website will ease the process for search engine bots when it comes to finding all of your pages, giving you greater and more rapid exposure in search engine results. A sitemap includes links to each page on your website, categorizing the pages into directories and sub-directories. Whenever a search engine spider arrives at your website to index content, it will find the sitemap and use that as a way to successfully locate and index every single page in question. When pinging for SEO as a beginner, a site map is a must-have. There are plenty of great tutorials out there for quickly creating a sitemap, so do not hesitate any longer. How do we gain additional exposure in select search results? One way is by using keywords, which convey to search engines a sense of relevancy between your website or article and certain search results. If you are building a blog about the latest all-weather boots, then you can gain traction in search results like “best all-weather boots for sale” or “all-weather boots for mountain climbing” by using these key phrases throughout your blog posts. Using them too much (where the total word count of the key phrase throughout the article exceeds 3% of overall words) can make you look as if you are trying to game the system, so be sure to use these keywords sparingly. 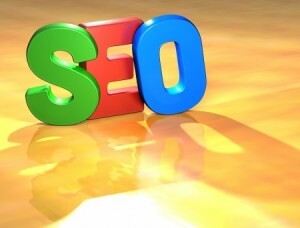 While in the past, SEO was not impacted by social networks and sharing, that has changed recently. You will want to maintain an active presence on sites like Twitter, Facebook and Pinterest, while also being sure to include sharing options to these platforms on each page of your blog. You are also able to display links to each of these profiles on your website. These little comments, shares, like and blurbs over time will help you build SEO credibility on the web. « Have You Considered Video Blogging? What Do Search Engines Analyze Most About Your Website? Is There a Correlation Between Keyword Rich Domain Names and Website Ranking?